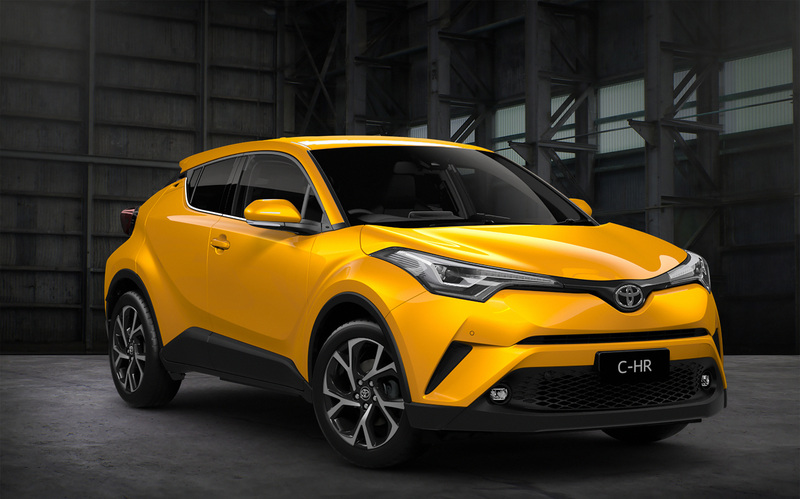 Toyota’s new C-HR premium SUV will be the first vehicle in the company’s Australian range to be equipped with a powerful yet efficient 1.2-litre turbo engine. Direct injection, a water-cooled turbo and an expanded intelligent variable valve-timing system offer performance levels equivalent to a significantly larger engine, but with lower fuel consumption and emissions. The compact and lightweight turbo petrol engine generates maximum power of 85kW and an impressive 185Nm of torque from just 1,500rpm all the way to 4,000rpm. It adopts a multi-pronged approach to deliver engaging responsiveness and acceleration while incorporating fuel-saving technology previously reserved for hybrid engines, including the ability to switch to the fuel-saving Atkinson cycle. Toyota Australia’s executive director sales and marketing Tony Cramb said the new engine is a direct benefit of the global company’s new product-development strategy TNGA, Toyota New Global Architecture. “The C-HR has a unique character that demonstrates the flexibility that TNGA gives to Toyota’s developers in the three key areas – design, powertrain and dynamics,” Mr Cramb said. “C-HR’s extroverted styling projects a confident and sporty image that is matched by a remarkable turbo engine with great response across the rev range that is not compromised by impressive economy,” he said. The C-HR’s turbo petrol engine alternates between the conventional Otto cycle in normal driving and the highly efficient Atkinson cycle under low engine loads. It achieves this with a range of advanced technologies, including a new limited-volume intake system that ensures more rapid combustion for immediate response and a high compression ratio to improve power and efficiency. Other cutting-edge features include an innovative cylinder-head design with an integrated exhaust manifold, lightweight valve-train, variable control oil-jet system and resin intake manifold and intake pipes. It can be driven through Toyota’s Multidrive S continuously variable transmission with two modes – fully automatic, seamless shifting or a sequential, stepped seven-speed Sport mode. A six-speed manual transmission is also available on the C-HR front-drive variant. C-HR, due in dealer showrooms in the first quarter of next year, will be offered in two premium grades, C-HR and C-HR Koba – the latter being a tribute to the car’s global chief engineer, Hiroyuki Koba. Local models will be highly equipped, including advanced safety features such as a pre-collision system with autonomous braking, adaptive cruise control, lane departure alert with steering control, automatic high beam and a reversing camera.